No store-bought tomato can replace the rich taste of a home-grown one. The flavor of a homegrown tomato is very satisfying; once you have tasted it, it is hard to buy tomatoes that arae not homegrown. That is why when it becomes warm enough, many people have to grow their own tomatoes. If you are like me, and have very little space to grow vegetables, then container gardening is the best alternative. Because tomatoes require a long period of direct sunlight every day, many yards are ineffective because they are filled with shade. Often a sun-filled deck or patio can be the solution. 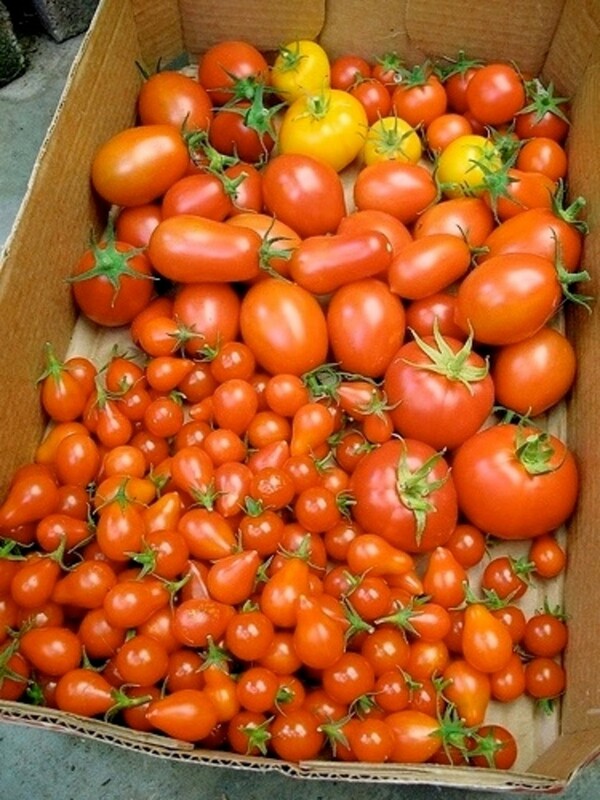 There are several simple tips you can follow to get the best tomatoes possible from your container gardening efforts. 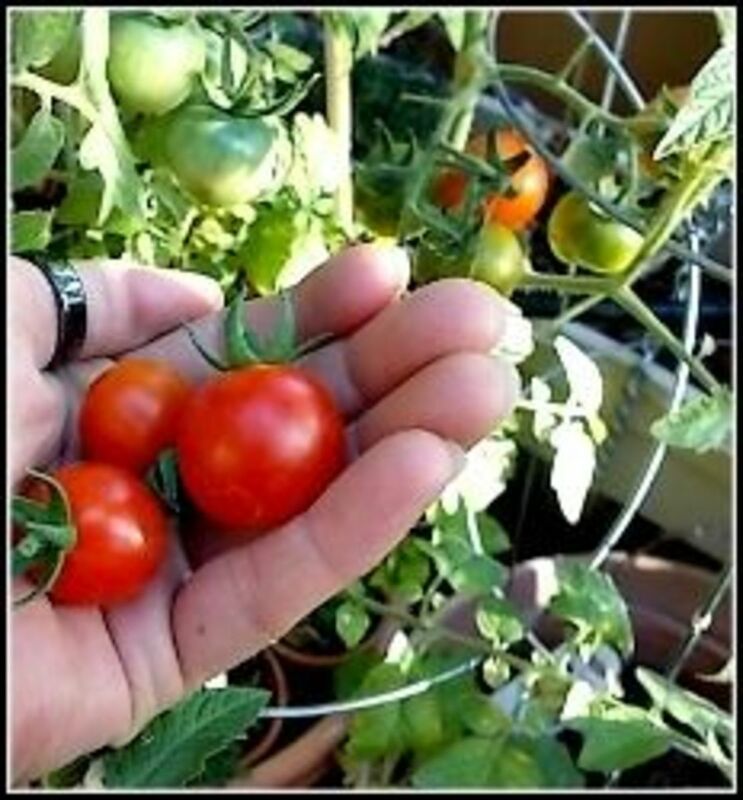 In this article, I will share tips I have learned over the years, that will help you to be successful in your tomato container growing endeavor. 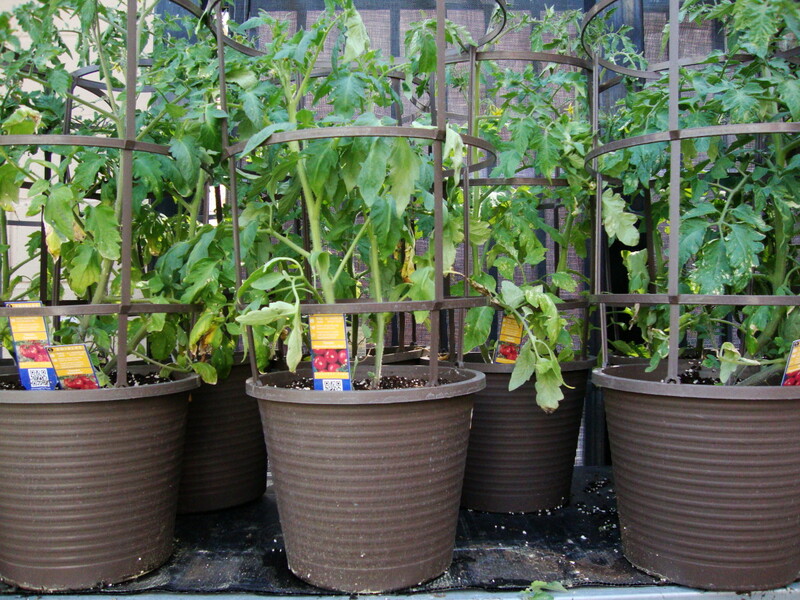 Have you grown tomatoes in containers before? Place the containers in the sunniest space available. 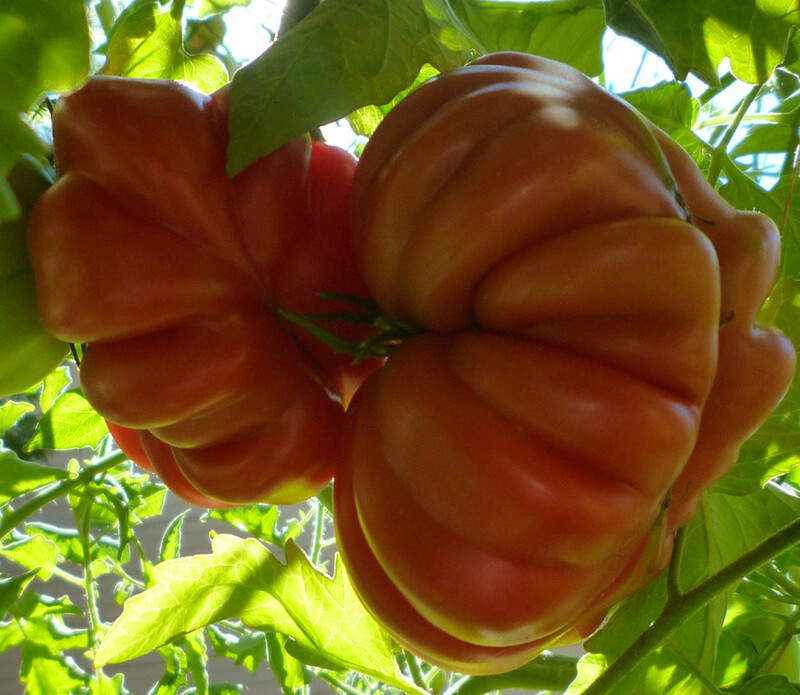 Tomatoes love the sun, and will grow faster, the more sunlight they get. When choosing containers, be sure they have holes from which water can drain through. Sitting water will cause roots to rot, and eventually kill the plant. Place a layer of pine cones or pebbles in the base of the pot. This will allow exess water to drain from soil, and it will act as a filler, so that soil mixture is not wasted. Use a mixture of one part garden soil and one part humus. Fill to one inch below rim of container. The nutrients provided by the humus will provide the tomato roots with the needed ingredients for a healthy root system. Plant only one tomato plant in each pot. 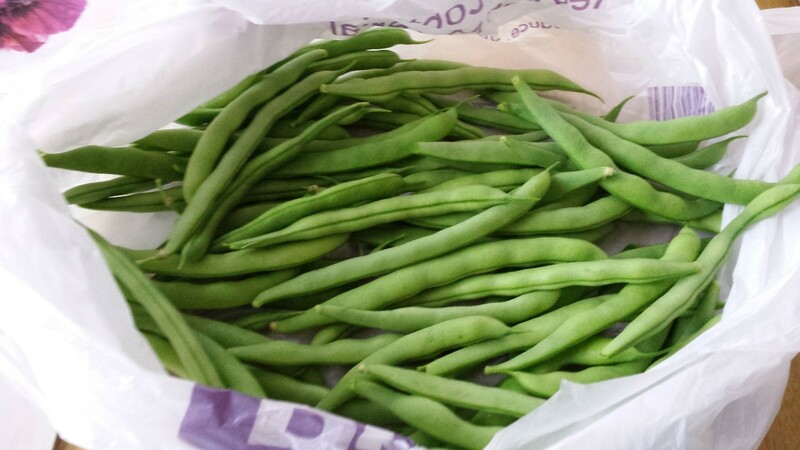 This will allow all the nutrients in the soil to be used by that plant, producing the best vegetables it can. Plant one compatible herb, such as garlic, basil, or chives in the same pot with the tomato plant. These herbs will act as natural pesticides, keeping harmful insects away from your tomatoes. When planting, remove the bottom two stems, and place the plant into the soil so that the main stem sits low in the soil to where the two stems were removed. New roots will sprout from the main stem, and this will cause the plant to produce more tomatoes. Once stems begin to flower, pinch off non-flowering stems. Doing this will produce larger and more flavorful tomatoes, as the plant's energy will be redirected to the flowering stems. 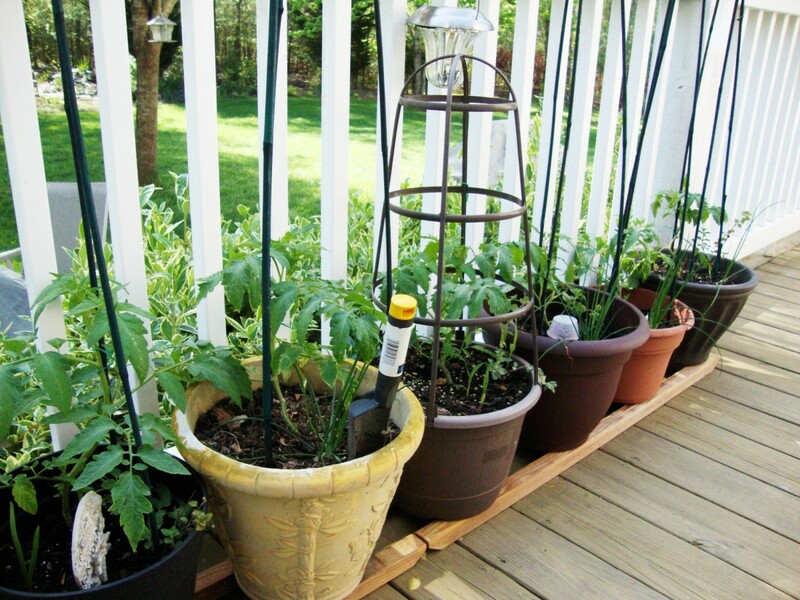 Create a trellis or a tepee with stakes, for tomatoes to grow on. Fasten the stems periodically to the structure, encouraging the plant to grow upward. Water plants at least once a week by completely saturating the soil. Do not spray the plant with water often. 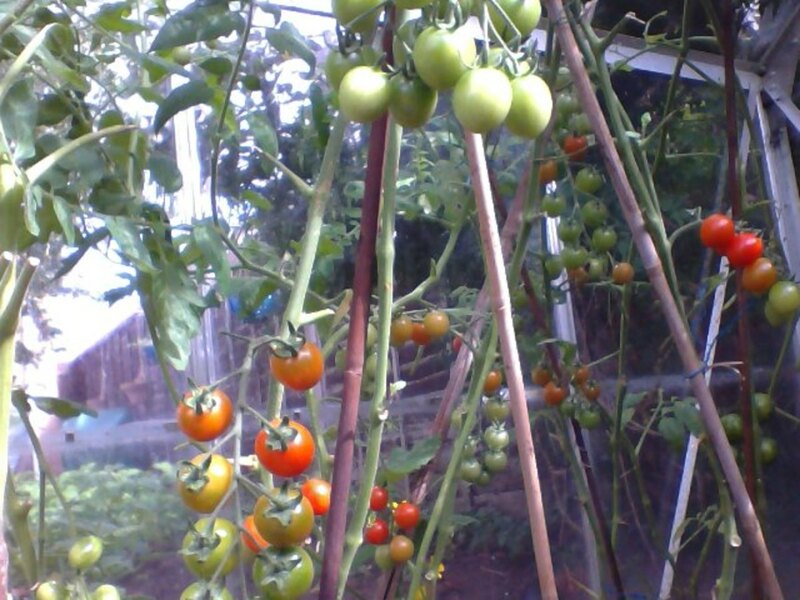 Water more often if soil becomes dry or tomatoes appear wilted. For the best results, use Miracle-Gro vegetable plant food as directed. The extra nutrients provided by Miracle-Gro products have been proven to produce better plants, and I have seen the difference myself. Creating a small garden on a budget can be a challenge. Design a small garden you can enjoy for years by following these great tips to help you save money and choose plants that will be successful in your small space. Container gardening is easy and rewarding. Follow these innovative tips to help you get started container gardening and maintain a successful container garden. Great info, I will be trying your tips; so far no success with containter planting Rosie! Great Hub with lots of good info! I have four tomatoes growing in pots on my patio. I did not know to add pine cones, etc. in the pot. Mine have many blossoms now, so I'm hoping for some good tomatoes soon. Can't wait for my tomatoes this summer. Last year a squirrel found my plants and took a couple before we put some chicken wire around them. Useful hub. Pinned! Thanks for the useful resource! You're absolutely right that nothing beats the taste of a fresh, home grown tomato. I would love to give this a try sometime.